Following on from the discussion in the Mukambi Lodge - Wildlife Sightings, Interesting sightings in the Kafue National Park topic, in which safari goers had not photographed a caracal, (being a 'poor excuse for a Lion'), here is your opportunity to share your images of the small cats on Safari. Don't forget to provide a few technical details as well. Here are a couple of images from our 2005 safari in Tanzania. 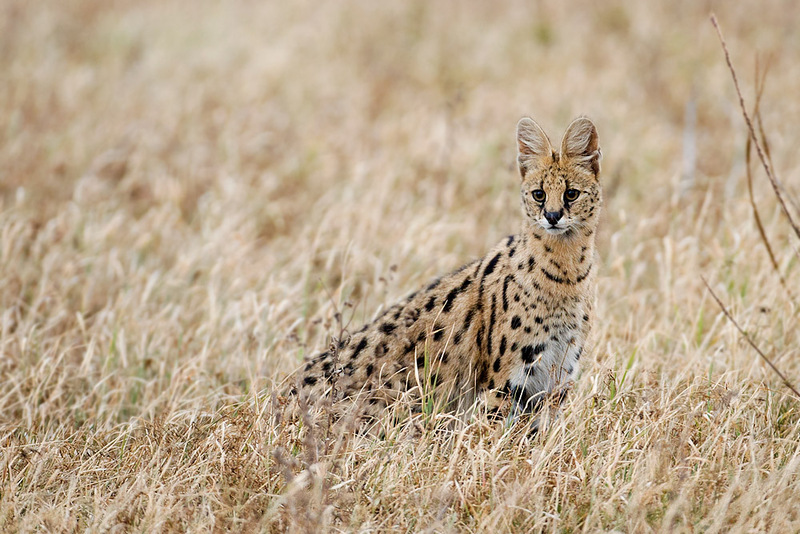 We saw a serval hunting in daylight in the Ngorongoro Crater. Taken with a Canon 20D and a crappy 75-300mm lens, it was a bit too far away. 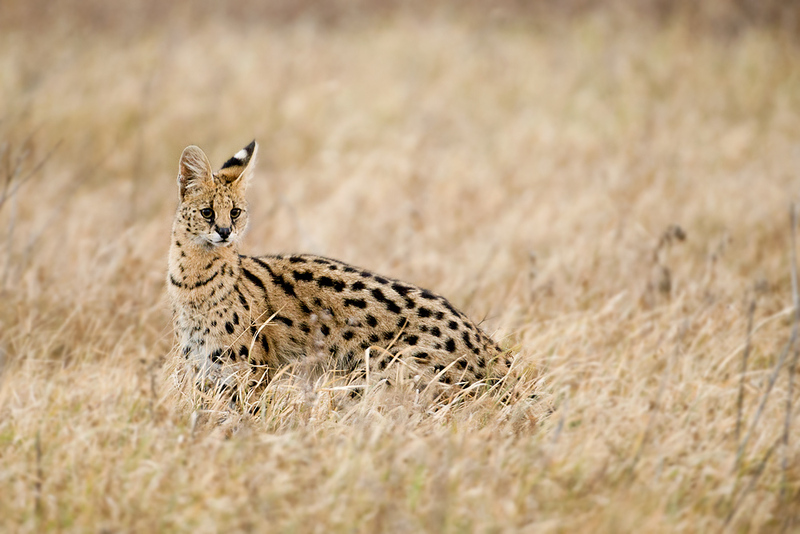 You can see the characteristic pounce of the serval on its prey. But seriously surround just the end reference with Youtube tags, [...] and [/...] tags. With the upgrade to software, coming soon, (I know sorry I've been promising it for ages) there will be a dedicated tag button like there is now for images. These were taken in the Ngorongoro Crater in June 2008, as we descended the Sopa access road. I am hoping for the caracal and African Wildcat photos from Kgalagadi this July! 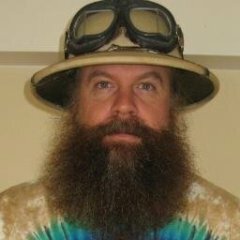 Nice photos and videos so far. I have a few of captive servals - dont count. but this is the best I could do with a wild one. 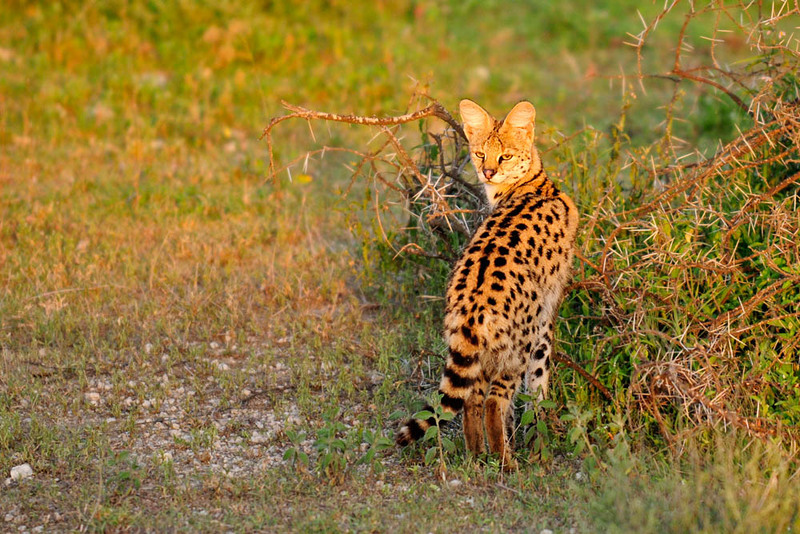 Some beautiful additions to the serval thread. 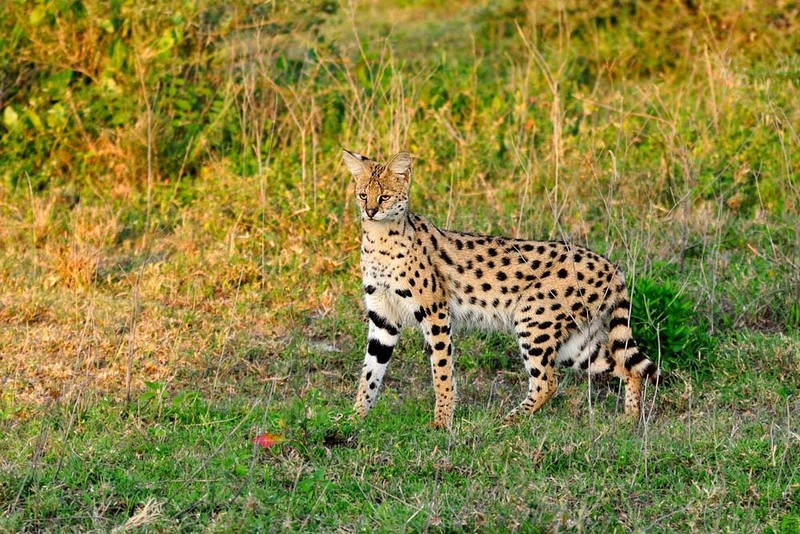 Some lovely poses Harshad and I love the light on the last serval. Perhaps I should dig some out as well although nothing startling in my portfolio. Nikon D3s & 500 f/4VR Masai Mara Oct 2010. Tucked away in their den. Night hunting on a saltpan, Sth Luangwa Sept 2007. African Wild Cat at dusk. Off the hook! well done Africaadict. Wow, top drawer - how long were you at the sighting for? it was like Red Indians around a covered wagon, with many dozens of long lenses firing away in succession every time this pair made a move! Nothing in the mara (especially) @ migration time remains secret for long. Regarding the den site image, after this shot, we went back after a few days to check on the pair to find that a vehicle had got far too close by driving right over the den completely collapsing it. Fortunately the kittens were not in at the time. Not the best of shots but caracal in Kafue 2009. Photo was taken close to Mfuwe Lodge in South Luangwa NP. Nocturnal animals at SLNP seem to be very used to spot lights.